NEW OPTIONS: New Wood Species and Multiple Edge Profiles from Which to Choose! Tue Jun 18, 630p-930p NEW! Interested in a sold-out class or a different date? Call us (267-331-5880) or email us and we’ll see what we can do! Class Description: Picture framing at home seems like it should be simple, right? But why do the corners never seem to fit together perfectly unless done by a pro framing shop? We’ll teach you how to build and use a jig for any home tablesaw that will create perfect home-made picture frames! We’ll also teach you how to use a router table to create gorgeous custom frame profiles with two different profiles from which students can choose. Lastly, you’ll learn with us techniques for creating stronger miter joints on your future personal projects like using biscuits or splines! Leave with a gorgeous 11×14 solid hardwood picture frame! 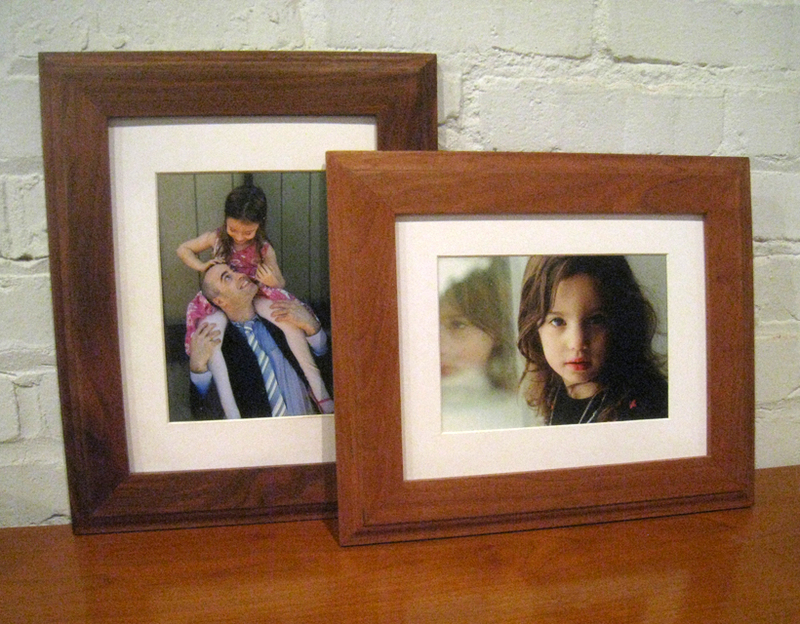 ** Note: Materials kit includes wood for an 11×14 cherry, or mahogany frame; walnut kits are available for an additional $10 collected during class; glass and other framing supplies are not included nor are they available at PW. Important to Know: At the end of this course you will have an assembled project ready for you to sand and oil/stain/poly/etc. on your own however you like. In class we will give you direction for several different finishing methods. We also have a wonderful finishing outline to help guide you after class. We recommend working with an art supply store or a professional framer for glass and hardware options. Cancellation or Rescheduling: Allowable only 7 or more days from start of class. See our full Reservation and Cancellation Policy here.